Have you ever wished that you could go on a backpacking trip and bring your phone, drone, camera, and any other electronics- but wondered how you could easily charge them all?? Well, with the Jackery Explorer 160 now you can! We are so excited about this new piece of technology. Not only is it small enough to bring along with you, but its also lightweight- weighing just under 4 lbs. Hook it to your backpack with a carabiner and off you go. It’s also great to take to on a camping/fishing/hunting trip. The options are endless. There are 3 ways to charge the Explorer 160- a wall socket(receptacle), 12v car socket, or solar panel. A full charge takes 5 hours by car or wall receptacle, and 8-10 hours by solar depending on weather. Another great feature on the 160 is the built-in LED flashlight on its side with SOS mode. The Explorer also has a LCD screen with charge/discharge and battery life status along with a switch with indicator light for on/off output port charging. Backed with a 24 month warranty and 24/7 Customer service also. The Explorer 160 is definitely worth looking into. 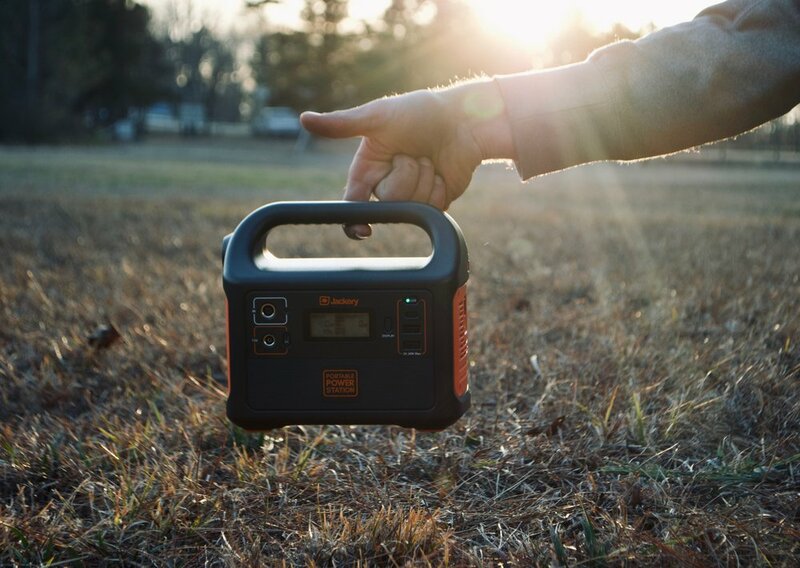 Jackery brand portable power stations are very built and will last. They were even chosen to partner with Honda to make Honda Officially Licensed lithium-powered portable power chargers. I can’t see why this portable power station wouldn’t work for you on your next trip. Check them out!